We are certified hair practitioners who research and study the hair and body as a whole and have designed products with real benefits that you can see in the look, feel and growth of your hair. Our products are handcrafted and closely monitored to ensure the use of high quality ingredients that do not compromise the natural balance of the body. Our focus is the health of your hair to keep it thriving and growing to give you more freedom with the confidence that your hair can stand up to any type of styling you should choose. We offer you our very best with, absolutely, no compromise and constantly practice actively listening so that we may offer a helpful response. We take initiative so that you know you are valued and your experience with us is always effortless and pleasant. Our vision is to do away with frustration, harmful information, negativity and struggle so you can see that your hair IS the very definition of beauty. Our friendly and knowledgeable staff is here to help you with all of your hair care needs. We understand how different each of our hair textures can be and are prepared to assist you with all your questions and concerns. I've studied hair since I was 18 years old. I enjoy talking about hair and love making products that serve as well. I received my certification as a hair practitioner and I like to research and conduct my own studies. Cooking, watching football and playing practical jokes on my loved ones are my favorite past times. 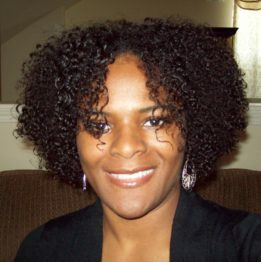 I am a certified Hair Practitioner and Holistic Health Practitioner who truly believes your health is your wealth. One of my greatest strengths is helping others to achieve optimal health, in turn, healthy hair growth is a result. When I am not helping others I love to spend time with my family and travel. A game of laser tag always awakens the quiet ninja in me. Stealthiness and quickness is KEY! By opening a Komaza Hair Care Account, you can enjoy so many great benefits, namely, fast checkout and our Customer Rewards Program!